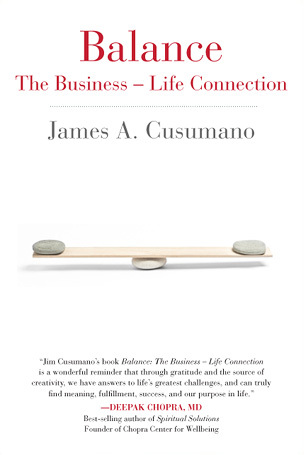 Even if you are not an entrepreneur or in business and in need of balance in your life, you should read this book for inspiration and entertainment value. OK, I will disclose up front that it is written by my big brother. But still, it’s a great read for anyone. As the number one son in a very traditional Sicilian American family, Jim experienced some of the best and some of the worst of my father’s quirky personality (to put it affectionately). Since Jim is 9 years my senior I actually learned some things about him and my family life before I was on the scene/seen. My earliest memories of Jim begin when he was a Rock and Roll Star. He went on to become a Scientist in Corporate America, Silicon Valley Entrepreneur, Indie Film Producer, Holistic Hotelier in Prague—and now an author. He writes engagingly about his life and finding balance. I hope you will pick up a copy. 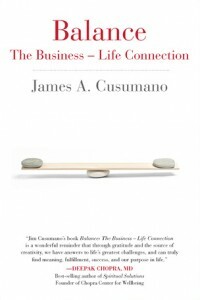 Balance, the Business-Life Connection.